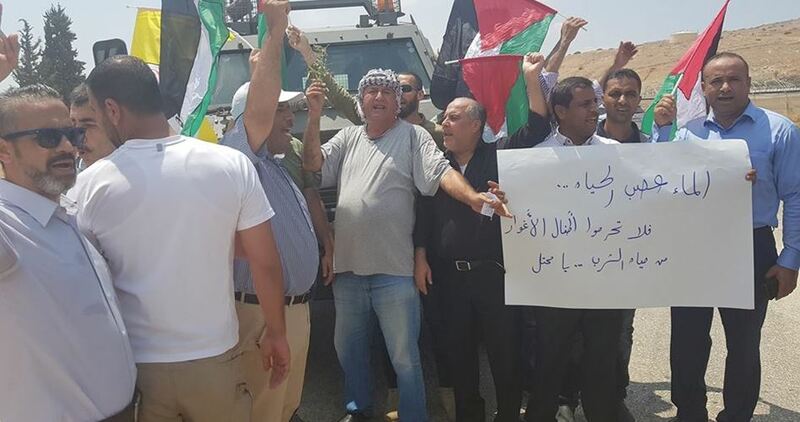 Head of the Palestinian Committee against the Wall and Settlements Walid Assaf declared on Wednesday that residents of khan al-Ahmar would not agree to be transferred anywhere. Speaking to Voice of Palestine radio, Assaf said that the committee’s lawyers were informed of the residents’ decision, saying that lawyers would be delivering the residents' response to the Israeli High Court. 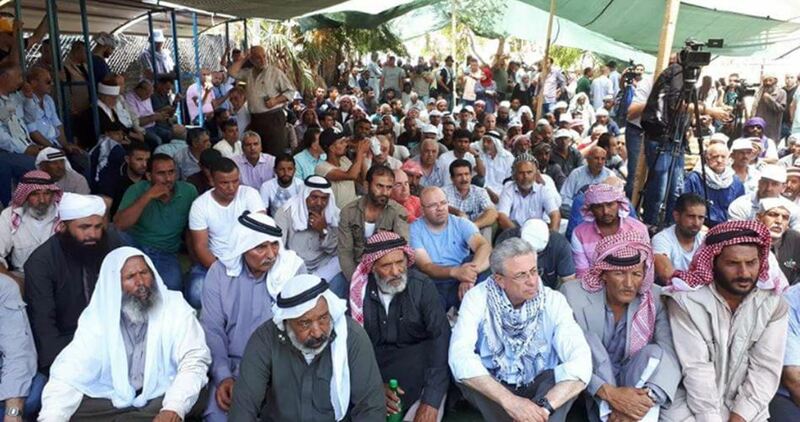 Israeli authorities have threatened to demolish Khan al-Ahmar for settlement expansion profit. The decision would leave more than 35 Palestinian families displaced. The Israeli occupation is planning to expand the isolated settlement of Amichai to nearly three times its current size so that it will include the illegal outpost of Adei Ad, Haaretz has learned. The immediate purpose of the expansion is to turn Adei Ad into a kind of distant neighborhood in Amichai. After the expansion, Amichai will be a large jurisdiction run by settlers in the heart of the West Bank. The area, known as the Shiloh Valley, is located north of Ramallah and the settlement of Ofra and south of the settlement of Ariel, and is outside of and quite a distance from what is usually referred to as the settlement blocs. Construction in this area is considered an obstacle to implementing the two-state solution, Haaretz said. 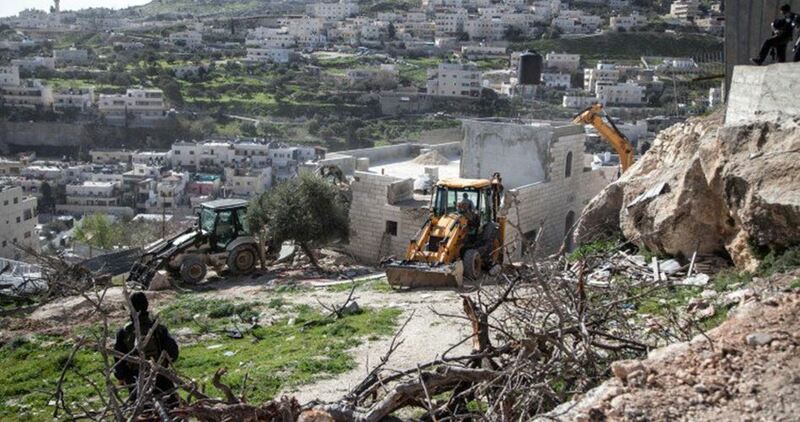 According to the same source, administration by settlers will make it difficult to enforce planning laws there and will enable settlement construction in the future. Sources familiar with the details of the plan conceded that at this point the goal of increasing the jurisdiction of Amichai is to legalize Adei Ad. Amichai was established for the settlers evacuated from the illegal settlement of Amona in the northern occupied West Bank, and is now home to some 40 Israeli settler families. According to the plan approved at the time of Amichai’s establishment, the Israeli occupation authorities were to expand Amichai settlement by 60 more housing units at first, and by about 300 more units in the future. These units were allocated a large area near the settlement of Shiloh and a few other relatively isolated settlements and outposts. The illegal outpost of Adei Ad, a few kilometers east of Amichai, was built on Palestinian land without legal permits. The government never evacuated it and declared on a number of occasions that it intended to legalize it. According to the Civil Administration map, which Haaretz has obtained, the Civil Administration intends to legalize a large area around Adei Ad, including the outpost itself, to nearly double the size of Amichai and to bring Adei Ad into its jurisdiction. The Palestinians, represented by the NGO Yesh Din, argue that expansion of Amichai will deny them access to their farmland. One of the immediate consequences of designating the expanded area as part of Amichai is that responsibility for enforcement of construction laws will no longer be in the hands of the Civil Administration, but rather will fall to the Mateh Binyamin Regional Council. Except in the rarest cases, the council does not enforce the law against illegal construction in its jurisdiction. 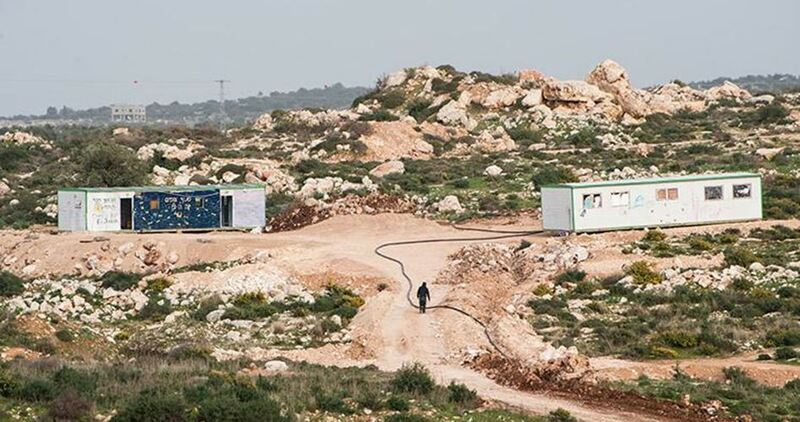 As a result of the transfer of administrative powers, the settlers will be able to build new structures illegally without effective enforcement, Haaretz further warned. Israeli bulldozers demolished three rooms and other structures in the neighborhood of Jabal al-Mukabbir in occupied East Jerusalem. Locals told Ma'an that Israeli forces stormed the Jabal al-Mukabbir neighborhood and surrounded several Palestinian structures. Sources added that the surrounded structures all belonged to the family of Abu Sukran. Israeli forces closed off the area, in order for the demolition to begin; the demolition was carried out on the pretext of building without an Israeli permit. Dirgham Abu Sukran said that Israeli bulldozers demolished three rooms and another three steel structures used for housing sheep. Abu Sukran added that the structures have been built since 2011 and have not receive any prior notice concerning the demolition. 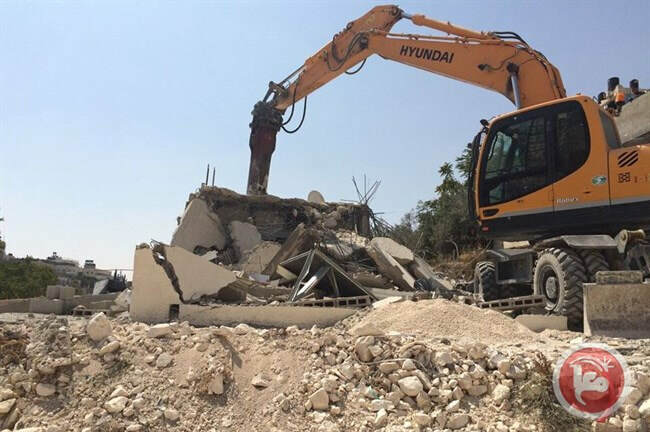 Meanwhile, in the same neighborhood, a Palestinian resident, Bassam Ubeidat, continued the process of demolishing his own home following a decision from the Israeli municipality. Shawkat Ubeidat, Bassam's brother, explained that the demolition by Ubeidat himself continues due to a decision by the Israeli municipality to impose a fine of 60,000 shekels ($16,188) if the municipality carried out the demolition instead. Ubeidat also mentioned that the nearly-demolished home was built already a year-and-a-half ago and was ready to be resided. 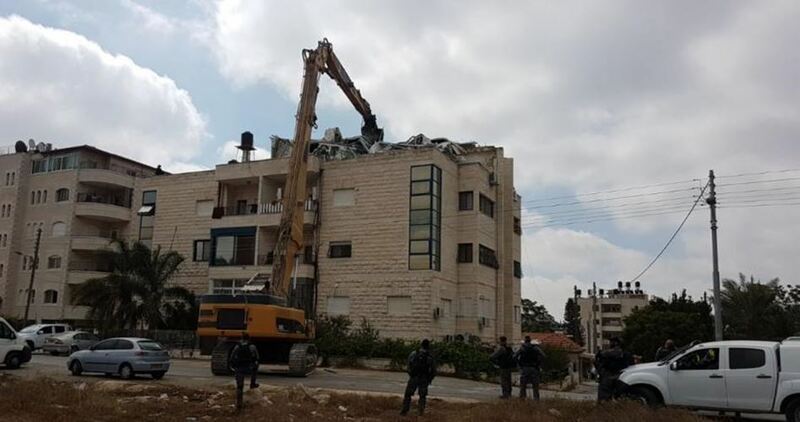 Several crew members from the Israeli municipality of Jerusalem, the Israeli Ministry of Finance and the Nature Authority along with Israeli forces stormed and razed the eastern part of the Issawiya neighborhood in occupied East Jerusalem. 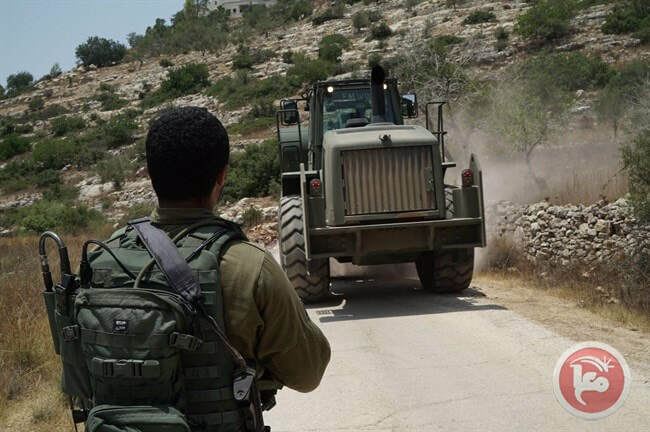 Muhammad Abu al-Hummus, member of a local follow-up committee, said that Israeli bulldozers razed and damaged roads leading to Palestinian-owned agricultural lands and to some commercial establishments, which financially support residents of Issawiya. Abu al-Hummus pointed out that the Ministry of Finance was in charge of the raze carried out in Issawiya by Israeli bulldozers. He added that Israeli forces along with bulldozers carried out extensive demolitions in the area periodically. He stressed that the razing and leveling of Palestinian lands aims to gain control of the area to establish an illegal Israeli settlement project under the title of "national parks." 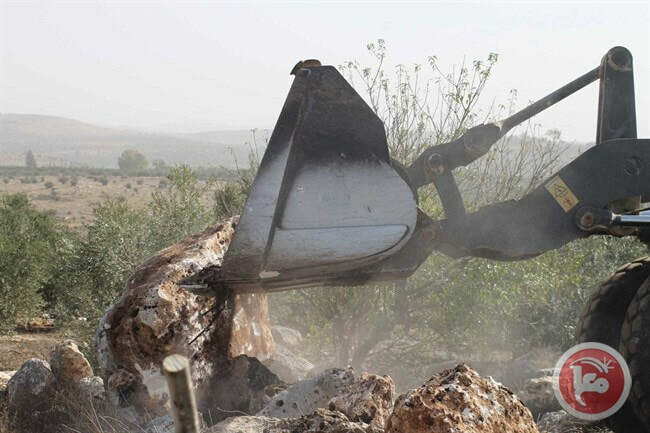 Israeli bulldozers escorted by Israeli forces razed and leveled a rural road for military training on predawn Tuesday in the area of Ras al-Ahmar, in the Jordan Valley in the northern occupied West Bank. 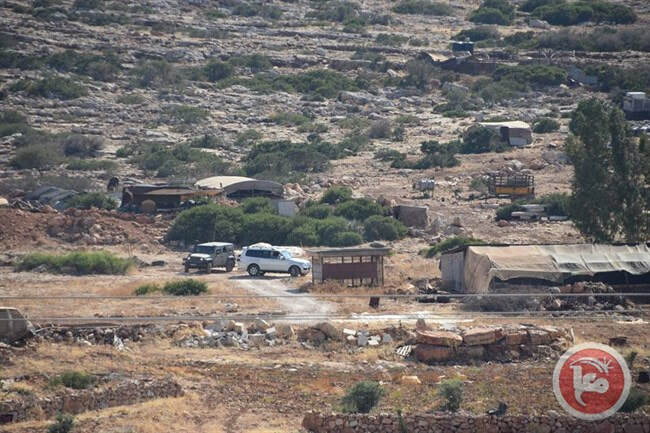 Israeli authorities delivered notices on Monday to two Palestinian families to confiscate their land in the Jammain village, south of the northern occupied West Bank district of Nablus. 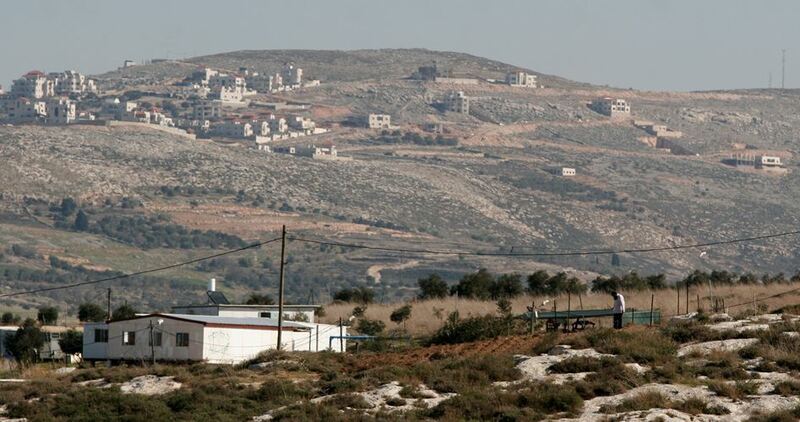 Palestinian official who monitors settlement activist in the northern West Bank, Ghassan Daghlas, told Ma'an that the Israeli authorities delivered notices to confiscate about 25 dunams (6.1 acres) of Palestinian-owned land. 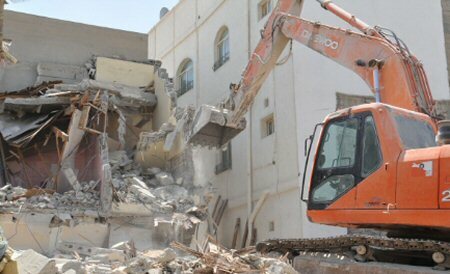 Daghlas added that the land belongs to Hamed Muhammad Hamdan and Moussa Amer Abu Shaib, residents of the village . Reasons for the notices were not immediately identified. Israeli bulldozers demolished on Tuesday morning a Palestinian-owned house in Shufat town, to the north of occupied Jerusalem. Local sources reported that Israeli forces demolished the house for allegedly built without Israeli permit. Israeli soldiers abducted, on Tuesday at dawn, at least ten Palestinians in several parts of the occupied West Bank, during extensive and violent searches of homes and property. The soldiers searched and ransacked at least seven homes Hebron city, in the southern part of the West Bank, and interrogated many Palestinians while inspecting their ID cards, before abducting Jamal Ali ‘Aadi. Also in Hebron, the soldiers smashed the main door of a home, belonging to former prisoner, Mos’ab Monir Ekhlayyel, 22, and summoned him for interrogation in Etzion military base and security center. The soldiers also invaded Teqoua’ town, east of Bethlehem, and initiated extensive searches of homes and property. 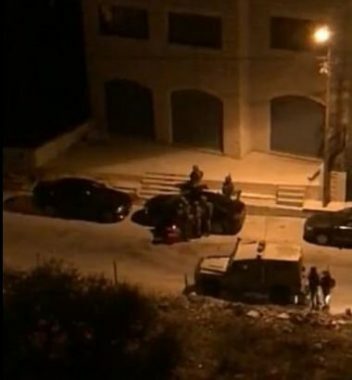 Similar invasions targeted the al-Ma’ajeen and Rafidia areas, in the northern West Bank city of Nablus, before abducting Baha’ Ghassan Thouqan, and his brother Bara’; the two have two other brothers who are imprisoned by Israel. In Nablus, in northern West Bank, the soldiers invaded the home of the imprisoned university teacher, Ghassan Thouqan, and abducted his son Bara’, in addition to detaining his other son, Baha’, for several hours, and confiscated the family car. It is worth mentioning that Ghassan and his son, Moath, were abducted by the soldiers nearly a month ago. 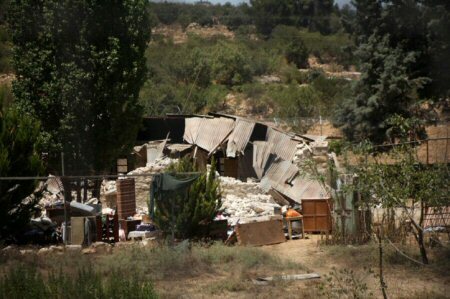 The Samara home in Beit al-Baraka after it was destroyed by Israel settlers. Beit al-Baraka, meaning “House of Blessing”, built 70 years ago, is a 38-dunam (9.5-acre) church compound located on the main road between Bethlehem and Hebron, opposite to Arroub refugee camp. It used to serve as a hospital providing free treatment to people suffering from tuberculosis until it was shut down in 1983. Jewish settlers later bought the compound from the church, through a fake company. 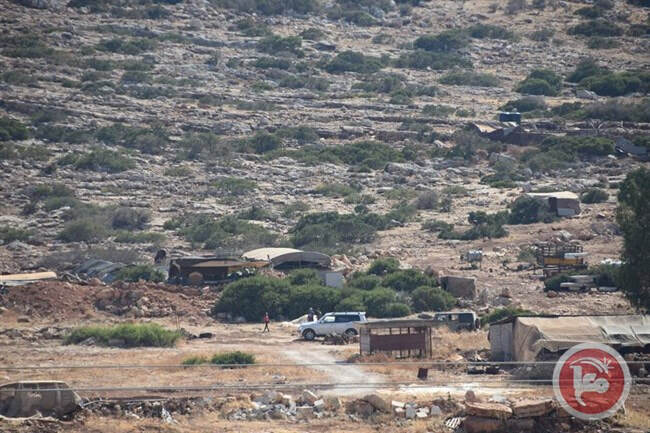 Israeli occupation forces (IOF) on Monday seized 25 dunums of Palestinian-owned lands in Jama'in town south of Nablus.